Northern Ireland Fire & Rescue Service (NIFRS) has launched a recruitment drive for Community (Part-Time) Firefighters in Cookstown and Maghera Fire Stations. 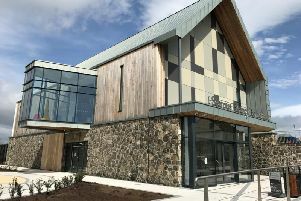 An information evening will be held in Cookstown Station on July 30 and August 6 between 7.30pm and 9.30pm, while an similar event will be held in Maghera Station on July 31 and August 7 at the same times. NIFRS is looking to recruit people who can respond to the following Fire Stations within five minutes of being alerted by pager in these parts of Mid Ulster. Brian Stanfield, Group Commander, Northern Ireland Fire & Rescue Service explains: “Simply put, NIFRS could not operate without our Community Firefighters as they provide the emergency fire and rescue services to local towns and villages across Northern Ireland. NIFRS values its people and is committed to the principle of equal treatment for all applicants for employment. NIFRS is currently under represented by females and applications from this group are particularly welcome. Appointment will be made solely on merit. The closing date is Friday, August 10, at 3.00pm.